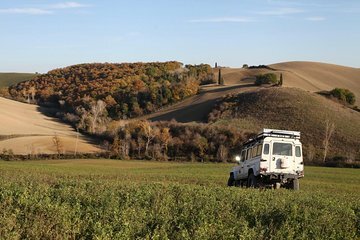 Discover the beauty of Tuscany in a unique way, on board a Land Rover Defender 4x4 with a licensed off-road driver. See Tuscany’s pristine nature and wilderness. Go back in history as you visit castles, ancient villages, remote abbeys and abandoned churches. Visit a local farm to try fresh produce, cheeses, oil and wine. This tour offers three levels of experience: appropriate for seasoned explorers as well as novices and children.